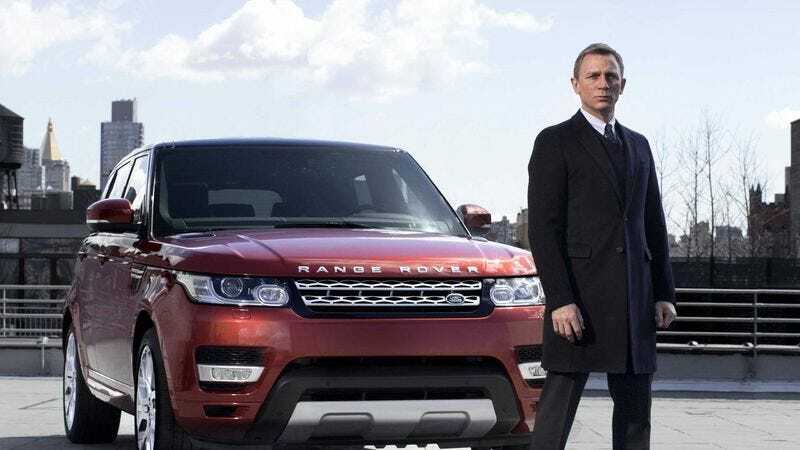 As either a direct challenge to MI6 or a simple theft coincidentally involving one of the biggest films of 2015, someone has stolen several vehicles designed for the new James Bond movie, Spectre. According to The Hollywood Reporter, nine vehicles were stolen from Range Rover’s headquarters in Neuss, Germany. Five of the them, Range Rover Sports models, were bound for the Spectre set in the Alps, where director Sam Mendes likely would have acknowledged their craftsmanship by blowing them to smithereens. The total value of the stolen vehicles is approximately $1 million, which is nothing compared to the $200 million production cost of the last Bond film, Skyfall. Indeed, the real blow for Mendes is that he must now find five other pristine vehicles that he can drive off of a mountain. (Production will continue as planned, so that search is likely underway.) Meanwhile, German police have no leads as to who masterminded this crime, and Christoph Waltz would really appreciate it if Daniel Craig stopped casting suspicious glances at him on set.